For normal or combination skin types. Purifies and invigorates for a fresh skin feeling. With vitamins & natural lotus extract. Skin compatibility dermatologically approved. NIVEA VISAGE? Daily Essentials Refreshing Wash Gel enriched with Vitamins & Natural Lotus Extract, gently yet effectively cleanses your skin: By purifying your skin and removing dirt whilst respecting your skin's own lipids, preventing skin dehydration. The refreshing formula invigorates and hydrates your skin. Whilst cleansing it is important to respect your skin's natural moisture balance to keep your skin fresh and hydrated all day long. See and Feel Beautiful Skin Your skin is deeply cleansed, looking and feeling refreshed all day long. 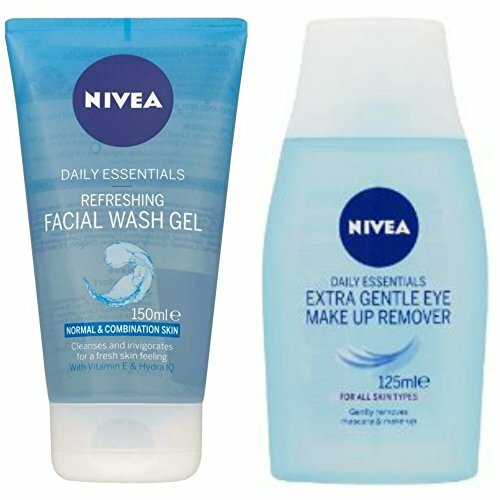 For optimal results we recommend you use the complete range of NIVEA VISAGE? Daily Essentials for normal and combination skin.